Dell Networking OS10 Open Edition – book done! 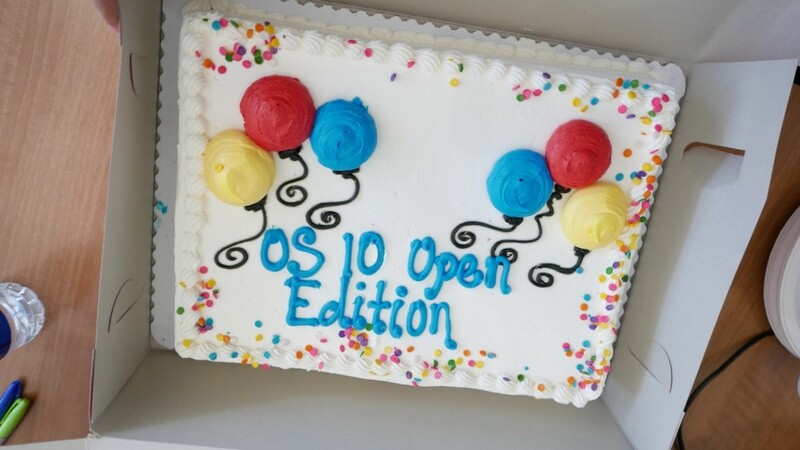 After five days of hard work, the OS10 team finished writing and editing the documentation of the operating system OS10 OE to be released very soon. 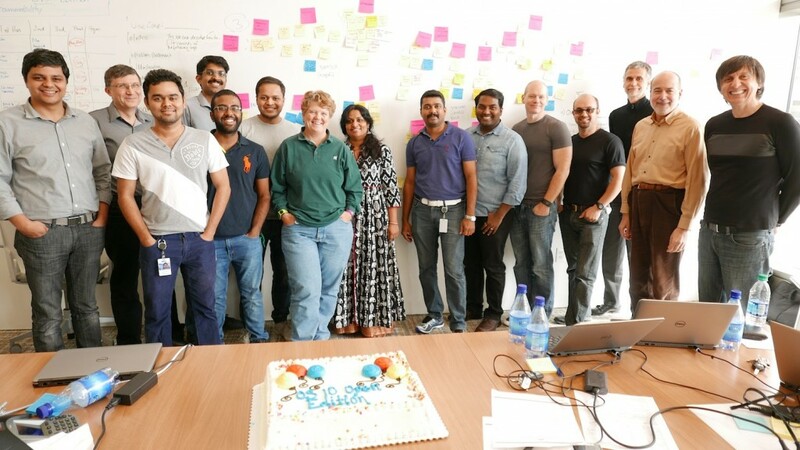 We celebrated with a cake! The comprehensive book includes chapters on the product overview, architecture, installation, system administration, networking features, programmability, and troubleshooting of the OS10 OE. The fifteen participants worked together as a team so well that we were done before the deadline on day 5 – the main content was written by day 3, revised and edited in three to four iterations by day 4, and the morning of day 5 was spent cleaning up the formatting, cross-references, and inconsistencies in terminology. And by 2pm everybody was ready to celebrate the achievement. The book will be released together with the OS10 OE. For more photos, go to flickr.